Commitment is vital to achieving the high quality programs children and families deserve and where early learning professionals thrive. Commitment comes with purpose. For a long time, my work with my colleagues, Amy, Charlotte, and Shaun has focused on the theme You Matter. Let’s extend this idea by thinking about how each of your decisions has an impact. Before acting, pause to wonder: What will happen if…? More importantly, ask: What do I WANT to happen if I…? You have the power to use words and actions to make something meaningful, important, and valuable happen. Everything we say and do has consequences. Whether the impact of our words and actions is positive or negative depends on us. Taking the time to be intentional — to think about the impact of our behaviors — increases the likelihood that we will make decisions that lead to positive outcomes. In contrast, when we’re on autopilot, acting on impulse rather than making intentional decisions, we often find ourselves with unfavorable results. Sometimes we may not even be aware of the negative impact our actions cause. Research tells us that high-quality early childhood programs have a significant impact on children’s emotional and behavioral outcomes and their success in school. Consider the positive results we could reap if every adult who touches of the lives of children birth through age five committed to consistently thinking about the impact of their words, actions, and decisions. Let’s look at some examples. Notice what happens during the morning routine for two different teachers when one carefully thinks impact and allows that to guide her plans, while the other keeps her focus on planned activities and ends up with some unintended and unwelcome results. Knowing that Monday mornings can be hectic after a weekend away from their school routine, Ms. Shaykea, a teacher of fours, decides to include a song that every child in her group knows as part of her Monday morning group time: a song that makes these children laugh with each other. They know the “moves” and so they are up and active. The impact? Engagement. Everyone feels like part of the group. Children are using language and practicing listening skills. They are using their bodies with coordination. The teacher is appreciating what the children can do and taking pleasure in their enjoyment. Some of the four-year-olds arrive a bit late this morning. The teacher rushes to gather children for group time. A few children continue to work at their tables rather than cleaning up. The assistant is hurrying them along. Those who have arrived on the rug for group are waiting. A few of these children begin to fidget and push each other. When most of the children are gathered, she follows her plan to introduce a new song. She begins talking about the new song – showing them the words on the chart – interrupting herself to shush children and intervene where some conflicts begin to arise. For ten minutes, some children are waiting and watching as one or two are asked to leave the group. These same observing children are watching the teacher get more and more frustrated. The impact? For some of the children, feeling scolded. For others, getting bored. Perhaps for a few, wondering why the teacher is upset. For the teacher, feeling ineffective and frustrated – a rough start to the week. Too often we underestimate the power of our decisions and actions; meanwhile the consequences may be significant and are often missed. Furthermore, we run the risk of repeating our mistakes. However, when we really think about the impact of our words and actions, we can be so much more intentional, thereby facilitating the effects we want. As you go through the next few weeks, give yourself permission to think impact. Notice whether you pause before acting and if so, the questions you ask yourself. What do I hope will happen? Can I use a prior experience to help me make this decision? Focus on the moments when you are effective and appreciate your competence as a professional. Feel satisfaction as you make decisions that lead to meaningful, important, and valuable results..
Judy Jablon is the Executive Director of Leading for Children. Commitment in Early Learning: Am I all in? 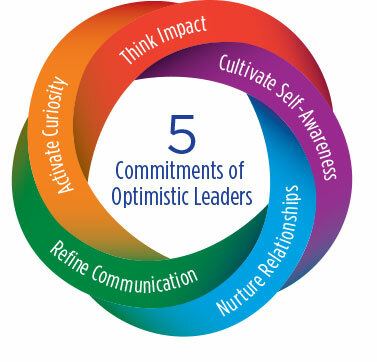 Optimistic Leaders Ask: Why is it effective? Like what you see? Subscribe to receive alerts to future Posts.